In his talk, “Bev-O-Metrics: Spinning the Bottle to Profile Drinks,” Subha Das, assistant professor of chemistry at Carnegie Mellon University, will show how chemistry and food collide in his research by discussing the flavor profiles of liquids, from morning java to cooling afternoon soda to crisp evening wine. Spectral data such as nuclear magnetic resonance offers a window into the profile of these drinks. The presentation will examine how these profiles relate to genomics and metabolomics and how these complex profiles can be determined and used under real world conditions for education and enjoyment. And to deliciously put theory to practice—if time allows—we will conclude with taste tests. Click Bev-O-MetricsPDF to download a PDF of Subha Das’ presentation. The French Institute Alliance Française (FIAF), NYC’s premiere destination for French language & culture, invites you to go behind the scenes with Marie Wright, Chief Global Flavorist for WILD Flavors Inc., to discover and sample the artistry of flavor creation in the lab. Special ECC offer: Use code FIAF35 and save $10! The April meeting of the Experimental Cuisine Collective will take place on Monday, April 23, from 6 to 8 p.m. in Brooklyn, as part of the 2012 Umami Food & Art Festival. With the theme, “Elemental > shaping our process for culinary evolution,” Robert Truitt (executive pastry chef of Altamarea Group) and Brian Sullivan (Ai Fiori) will walk the audience through their creative process by examining design-related theory, cognitive understanding as it pertains to the culinary world, and the influence on the creative process that business occasionally supersedes. Attendees will not only get a visual sense for some of their past works, but also a demonstration incorporating some of the processes and theories that guide their work. The March meeting of the Experimental Cuisine Collective will take place on Wednesday, March 14, from 4 to 6 p.m.
Chocolate — one of the most chemically complex foods known to food science — is different from most other foods in many ways, but one of the key differences is that the vast majority of chocolate is made thousands of miles from where the primary raw ingredient is grown. This geopolitical and cultural disconnect leads (in part) to an enormous gap in awareness and appreciation (especially when compared with wine, for example) of the interplay between terroir, post-harvest processing techniques — which should be considered to be an inextricable part of terroir for many foods, not just chocolate — and manufacturing processes on the flavor of a finished chocolate. This presentation will cover the key aspects that affect flavor development in cacao and chocolate from the tree to a finished bar and will cover the individual and collective contributions that genetics, agricultural practices, post-harvest processing (including fermentation and drying), and manufacturing (specifically roasting and conching) processes have on the development of flavor in chocolate. Selected pairings of chocolates will be used to highlight how slight differences in terroir, magnified by the choices that chocolate makers make, can yield completely different finished products. Clay Gordon is a New York-based independent authority on chocolate. His book, Discover Chocolate, was a finalist in the Food Reference and Technical category in the 2008 IACP Cookbook Awards. He created and moderates TheChocolateLife.com, an on-line community devoted to chocolate with more than 5400 members in over 140 countries. In addition to consulting with chocolate makers and confectioners, Clay is heavily involved in chocolate education with an eye to improving the appreciation and awareness of fine chocolate as well as being an increasingly vocal advocate for sustainable production. 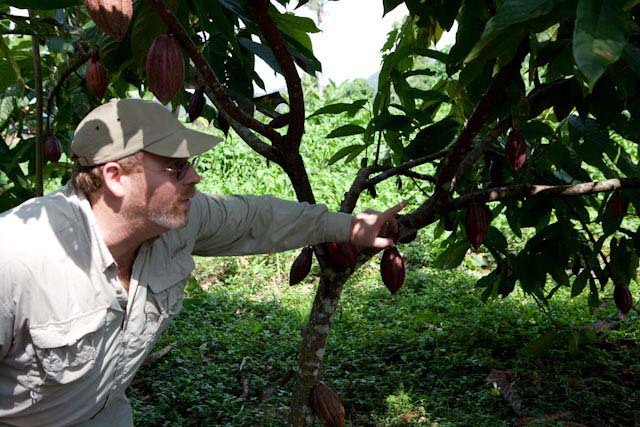 One of the favorite parts of his “job,” Clay admits, is international travel, especially to places like wild cacao groves in the back of beyond in the Bolivian Amazon. Going to Europe for the chocolate is nice, too, he says, but his heart is on the farm. 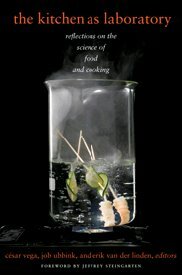 The Experimental Cuisine Collective’s February 2012 meeting will center around The Kitchen as Laboratory: Reflections on the Science of Food and Cooking (Columbia University Press, 2012). The editors and authors—chefs, scientists, and hybrids thereof—make a case for science inspired by the kitchen, where culinary knowledge is advanced by testing hypotheses rooted in the physical and chemical properties of foods. Using traditional and cutting-edge tools, ingredients, and techniques, the contributors to this unique anthology create, and sometimes revamp, dishes that respond to specific desires and serve up an original encounter with gastronomic practice. From the seemingly mundane grilled cheese sandwich, pizza, and soft-boiled egg to Turkish ice cream, sugar glasses, and jellified beads, the essays in The Kitchen as Laboratory cover the chemistry, physics, history, and culture of a wide range of culinary creations. Editor-in-Chief César Vega, PhD, will discuss the motivations, contents, and anecdotes behind the making of The Kitchen as Laboratory, looking at science just as much as gastronomy. He will be joined by contributors Arielle Johnson (UC Davis) and Tom Tongue (IFP), who will present the research featured in their respective chapters. Longtime ECC member Arielle Johnson, co-founder Kent Kirshenbaum, and director Anne E. McBride have authored a chapter on konjac dondurma, a sustainable form of Turkish stretchy ice cream, in the newly released book, The Kitchen as Laboratory: Reflections on the Science of Food and Cooking. Cesar Vega, PhD, who has presented several times at the ECC, is one of the editors of the volume, along with noted food scientists Job Ubbink and Erik van der Linden. During the week of January 30, the book is featured on the Columbia University Press, with lots of excerpts and the opportunity to win a copy. Click here for the full details. You will also have the opportunity to hear from Dr. Vega and some of the authors at the February 16 meeting of the ECC. Michael J Cirino is the voice and creative director of the culinary performance art group a razor, a shiny knife, which hosts educational, social and theatrical experiences. 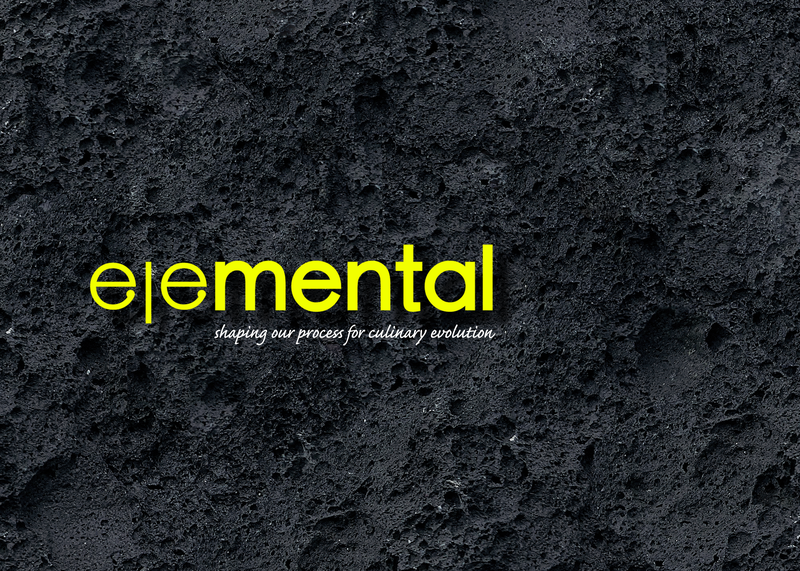 The group produces events around the world that push the boundaries of what is possible and expected to happen around a kitchen and table. For the past five years, Mr. Cirino has sought to redefine the guest/host relationship and create a space in the culinary world for a different paradigms of social interaction around food that fits outside of the restaurant and home kitchen. This conversation will explore the traditional roles of the host and the guest, the rewards that each role seeks to obtain, and start a conversation on how we can all take these roles and pervert them into something ridiculous and inspiring.